"Eating In" While on Vacation! True vacation bliss for me is waking up leisurely with smells of fresh brewed coffee and sizzling bacon floating out from the kitchen of our vacation home. Our family gathers slowly around the table as a cool breeze trickles off the water through the white linen curtains. Even while on vacation, the kitchen continues to be the heart of our home. In our family, thankfully, my husband loves to cook! Trying new recipes or culinary experiments is his way to relax and unwind. When looking at rental homes for our vacation, the accessibility of the kitchen is an important point we consider. When we’ve arrived and begin exploring our vacation destination, we enjoy browsing local markets and stores for fresh items from the area. By cooking for ourselves in our vacation home kitchen, we have the option to eat healthier while sampling local flavors. Additionally, eating in offers wiggle room in the budget to splurge on other things, such as tickets to local attractions or must-have souvenirs! Here are points to keep in mind if you may be spending vacation time in the kitchen. Create a basic plan for what you’d like to eat and what ingredients you'll need. With a meal plan in mind, you’re less likely to waste valuable vacation time wandering around store aisles. If sharing cooking duties with others, plan out who will prepare what and when. Keep plans flexible, allowing kitchen duty to feel less like a chore! 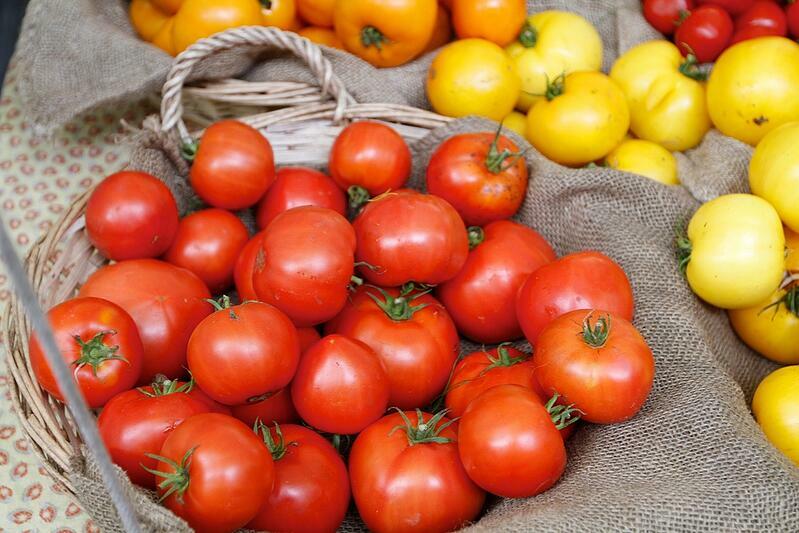 Keep an eye out for local produce stands or farmers markets. If near the water, ask around for the best place to find fresh seafood. Consider regional specialties such as jellies, cheeses, dressings, relish, and salsa. It’s a vacation, so mealtime rules may not always apply! Consider stocking up on snacks such as hummus and pita, cheese and crackers, fruit, and yogurt. Fun and flavorful snack options may fill tummies as you enjoy vacation adventures. Some of our most cherished vacation memories are with family and friends gathered around the kitchen table. Make the most of your vacation time, and bon appétit! Here’s one of our family’s favorite vacation foods. Enjoy! 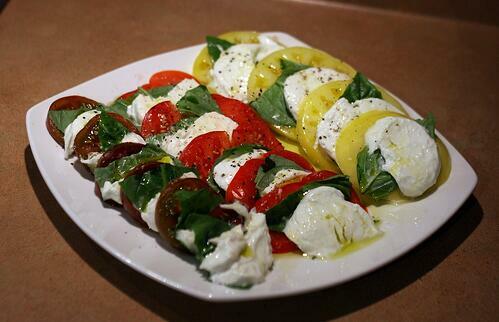 Alternate layers of slices of tomatoes and mozzarella with a basil leaf between each. Drizzle with olive oil and season with salt and pepper to taste.